Here’s a project that can be a complete delight for the open source lovers. Zac Powell has developed a Complete Linux Installer App, which allows users to install Linux on their Android device alongside the Android operating system. The project has been launched as a new Indiegogo campaign to turn your Android device into a full Linux desktop computer. The app in its current form, allows users to install some of the popular distributions including Ubuntu, Debian and Fedora on the Android devices. After that, the user can boot Linux as an app. Once your favourite open source desktop is booted, you can connect to the desktop via VNC. 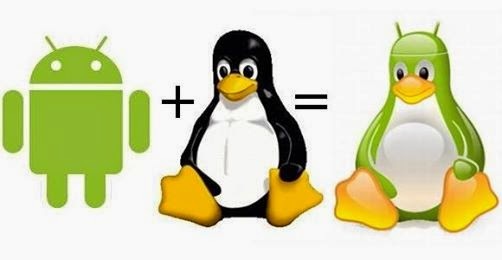 You can also do that by switching away from the Linux window and starting a VNC Android app. The prerequisite of the process is that the Android device needs to be rooted. This project aims to improve the convergence between a mobile device and a desktop by providing a better Complete Linux Installer to work with a Linux desktop over HDMI or on the device screen. That’s not all. Users can access the storage of both operating systems. The app also offers some other integration features including the ability to play audio from Linux via the device’s speakers. Users can also view the Android notifications from within Linux. Zac is also working to facilitate sending of emails and text messages from within Linux via accounts setup in Android. Seems Zac is attempting almost the same thing that Canonical tried with Ubuntu for phones. The approach is slightly different because users can keep Android on their device and do not need to switch to Linux completely. Powell will create a custom Android ROM with the right hooks to allow the Linux guest operating system to access things like the notifications and the device’s audio subsystem. He aims to generate £1500, which is about $2500. With this, Zac will create open source Android ROM with Nexus 4 support, with all the integration features listed. The next levels of funding at £2000, £3000, £5000 will basically add support for different devices starting with the Sony Xperia Tablet Z and then the Nexus 5, 7 and 10.